Edinburgh, Scotland, UK; 2 August, 2018. Painting Terrorism ( Together) by Edwin G Lucas at preview of new show by the artist in City Art Centre in Edinburgh, Scotland, UK Edwin G. Lucas (1911-1990) was one of the most unique Scottish painters of the 20th century. 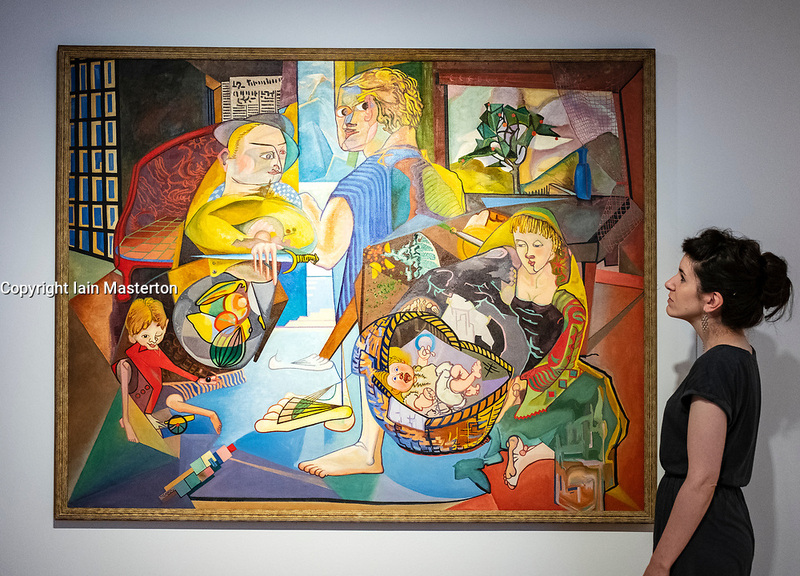 Born and raised in Edinburgh, he channelled the influence of Surrealism in his work, cultivating an original and highly imaginative style of painting during the 1940s and 50s that set him apart from his contemporaries. Today, however, he is virtually unknown.